Little Red Scrapbook Co. is back!! 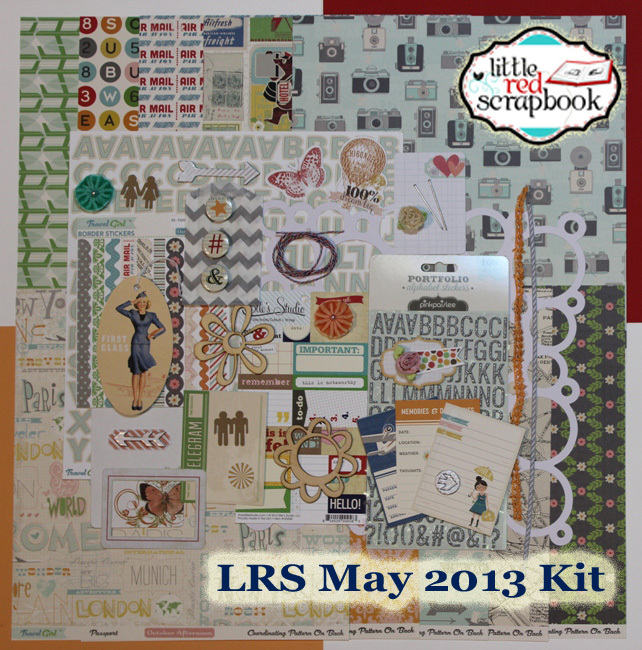 I couldn't have been happier to hear that The Little Red Scrapbook Co. was bringing the kit club back! 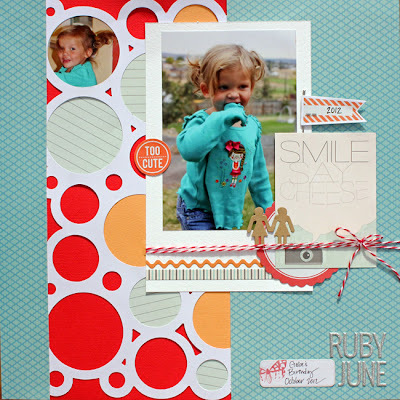 Sara always has the most amazing kits and this month is no exception! She picked a fabulous line to kick it off with because who doesn't love October Afternoon?! 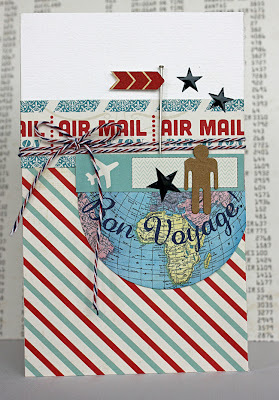 The "Travel Girl" line is so bright and fun, not to mention versatile enough to use for cards and masculine layouts as well. Here's the kit...don't ya just love it?! I was able to get two layouts and one card out of this kit and still have plenty left over for more projects. The first layout is of our little niece Ruby June. The JilliBean Soup circle cardstock was perfect for layering to create a quick and easy layout. The second layout I created really shows off the versatility of this kit. 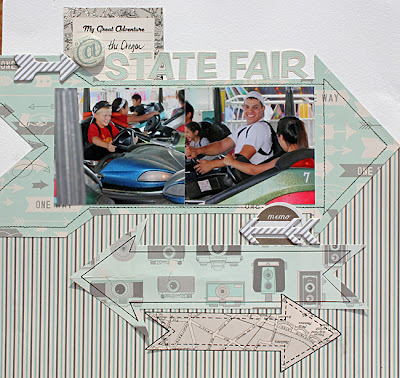 I used the more masculine papers for a layout of my boys riding the bumper cars at the State Fair last year. I used the fun pattern papers to create arrows to continue the theme of the "Directions" patterned paper-- and even added some machine stitching and doodling to this one. Love how it turned out! My final project is a card using the "Post Card" and "Subway Token" papers. Everything is from the kit but the star stickers. The May kit can be purchased by stopping by the store here. You don't want to miss this one because it's perfect for all of those summer vacation photos! !